Now a couple of days into my final week, I can start to reflect on my time here at The High Street Centre. Since my last post, I’ve completed 2 funding bids, totaling over £13,000, almost finished my program, and continued to help out wherever I’m needed. The bids are for the funding of a holiday club for children with additional needs, and during my time here I’ve supported after school sessions on a Monday for the same young people, which has been really rewarding. Seeing how much they enjoy the couple of hours every week, and imagining the difference it must make to both them, and their family (in terms of respite) has emphasised for me how the funding I’ve applied for, and the program I’ve produced, can make real differences. Hey, I was one of those ‘100 radical speakers’! Or maybe they added an extra slot for me and I was speaker 101. 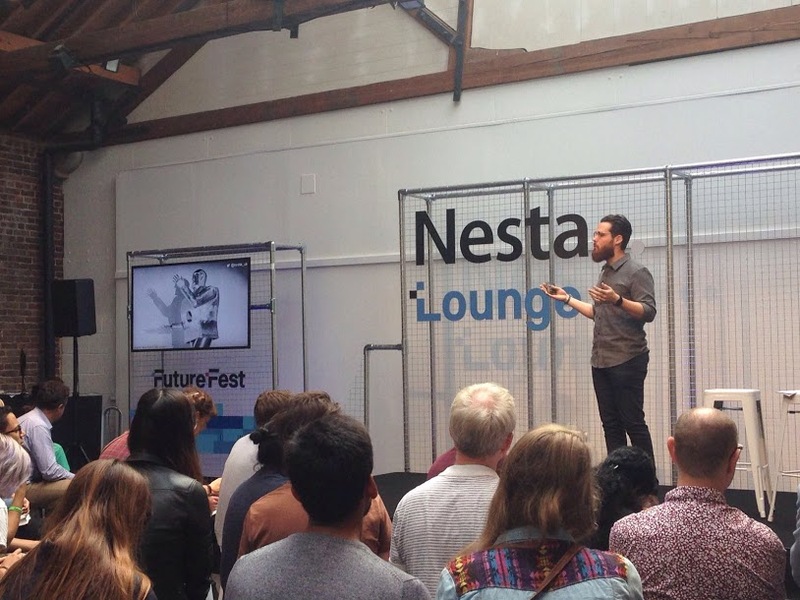 Either way, speaking at FutureFest was a pretty memorable experience. Supervisor: “So how do you think the talk went?” Me: “Okay, I guess. I forgot to break the seal on my bottle of water before I went on stage so there was a weird pause where I finally had to say to the crowd, ‘Oops, this is an awkward pause.’ And then I think I wore my microphone too high cuz my beard kept rubbing against it which made a weird swishing sound…” Supervisor: “Stop. What a strange, circuitous, six-decade trip that must have been! I recently spent some time in the BBC’s archives tracking down the script of a radio programme about the effect of industrial automation on employment – the topic of my research for Nesta – and I was struck by the long journey the script had to go through before it could become a word document on my laptop. In this age of instant access to information and the [Ctrl + F] search function ([Command + F] for you mac people), it can be easy to forget that tracking down information was not always this easy. #1: Best Summer Since ’98? During the summer of 1998 I visited Disneyland, built a zip-line, and got a new bike. It was the best summer of my life. And then I went to work for Nesta. I’ll leave it to my older self to sort out which summer was better, but working for an innovation charity was pretty darn great. Nesta is an innovation charity with a mission to, as they put it, “help people and organisations bring great ideas to life.” I was stationed in the Futures team with a bunch of ‘futurologists’ working on projects related to education policy, the ethical implications of big data and machine-learning, ‘playable cities’, and innovation in the media. Having gained a strong understanding of how the foundation engages with a business, I was ready to visit a significant number of small businesses in the borough and convince them of the importance of closing the gap between the rich and the poor. The main focus thus far had been towards larger, established businesses in the borough. My networking skills proved key in convincing managers, supervisors and owners of these businesses that we weren’t just another charity in need of donations. In order to do this, I needed to demonstrate a level of confidence that they simply couldn’t ignore. One of the ways I used to describe the K&C Foundation was by calling ourselves an “umbrella charity” that helped a number of smaller, lesser known charities in the borough. The last two weeks of my internship went too quickly for my liking. I wanted to put all my research together in a decent report for Anna and Tom, and I wanted to enjoy being at the RCJ until I could. I really liked the office life, working intensively 9 till 5 or 6 and to then have the evening free. The first few days of my internship I actually tried going to university to do some more work afterwards, but I was, in the end, too mentally exhausted from the new and fascinating legal world to get actively back into the cerebellar one. Phew! These two weeks have been busy. After the difficulties getting the current codebase running on my machine, the last weeks have been much more productive! Here’s a little look at what I’ve been up to. On the 31st August, I was lucky enough to be offered the chance to be a collaborator in the Science Museum Lates with the rest of the OneZoom team. Our stall was called ‘Big Data and the Family’, and showed how using fractal trees can improve viewing big data. We had two different trees to demonstrate, ranging from a genealogy viewer called ZoomPast (our close family, other humans) to OneZoom’s full evolutionary tree of life (our distant family, the one I’ve been working on). My final post is an interview with David Jones, the Teaching and Learning Manager of The Scholars Programme. David’s first job after university was for a charity which runs low cost Saturday schools. He then trained to be a teacher and taught in a primary school in South London. David left the classroom with the intention of working for an educational organisation which turned out to be The Brilliant Club. How did the Scholars Programme come about and how is it run? The Scholars Programme came about from the work of two teachers – Jonathan Sobczyk and Simon Coyle who participated in the Teach First training programme. Reflecting on my first week at the High Street Centre in Rotherham, it feels like I have already learnt and done so much. 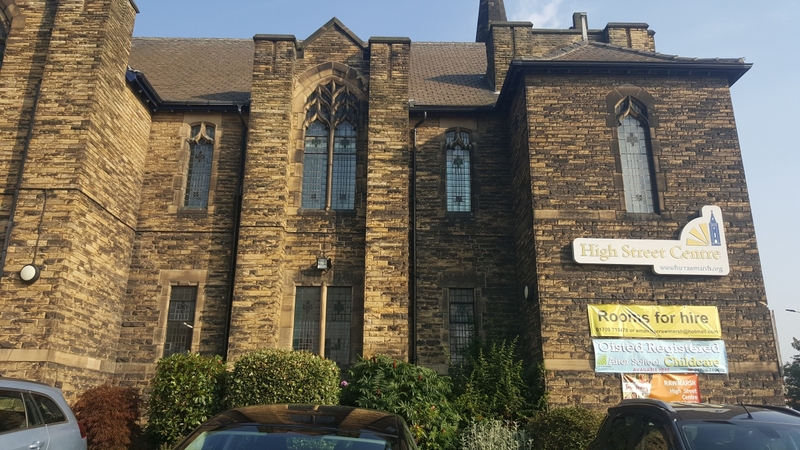 The purpose of the charity itself is to “enable, equip and establish services that make Rawmarsh a better place to live and work” and growing up in the area I have seen the positive changes to people’s lives that the charity has instigated. The main focus of my project is to create a computer program which searches through funding opportunities and grants in the area, of which there are hundreds and determines using a variety of criteria which should be targeted. Reflections after Four Weeks at Full Fact. When I started at Full Fact, I wanted to build a program to carry out their first ever automated factcheck. Four weeks later, that what’s I finished with: so far, the automated factchecker can check ‘Employment is rising’. It reads the word ‘employment’, goes to the Office for National Statistics’ labour force data, and runs a couple of simple tests to get an idea of whether the number of people in work really is rising. Beyond that one example, the code I wrote shows real promise. It understands what kind of data needs to be looked up when presented with an example sentence.